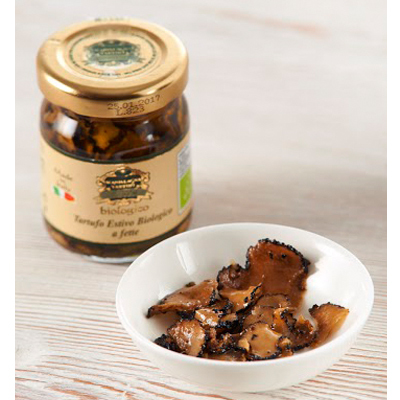 The Vorrei Organic sliced Summer truffle is ideal for decorating or boosting the truffle flavour of many dishes. Delicious on pizza, pasta, with cheeses, salads, all potato dishes and to add flavour to your steak. All Vorrei products are ethically sourced from small-scale farmers in Italy who are committed to sustainable farming practices. Real Italian food that is good for you, good for the people who grow it and good for the environment.